There’s a lot to think about when choosing new kitchen cabinetry from hardware to door panel styles. 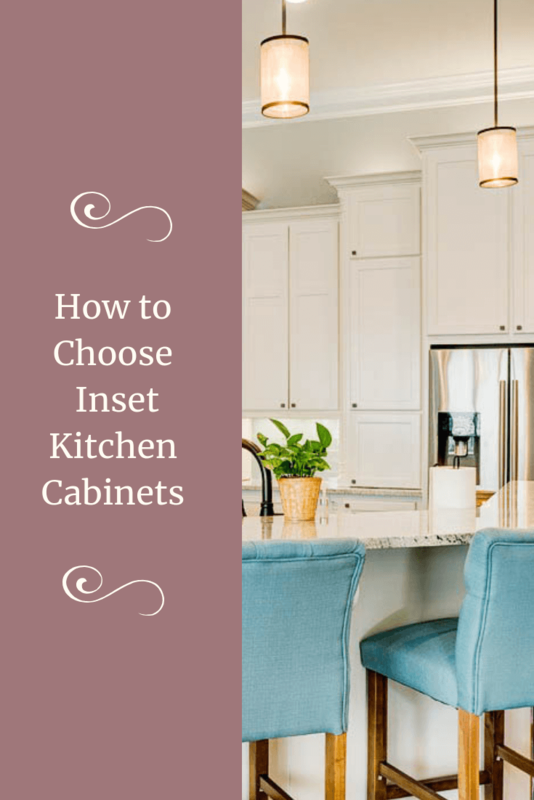 If you’ve weighed your options and have decided to go with inset cabinets for your kitchen design, your next choice will be about what you want those doors and drawers to look like. In addition to choosing a species of wood and a finish, you’ll also have to make some decisions about the type of carpentry you prefer. All of these small details add up to make your overall design a winner, so it’s always a good idea to understand your options. Inset doors and drawers are designed to blend seamlessly into the face frame of your cabinets. This means that when they are closed, your cabinet doors will be flush with the face frame for a perfectly flat surface. It’s a clean look that add a high-end finish to a custom kitchen project. Plain inset cabinetry features a perfectly flat face frame with no additional detailing, making it a good choice for Mission, Shaker and modern cabinets that favor simple lines and minimal ornamentation. Beaded inset cabinets have an additional decorative detail on the face frame immediately surrounding the door or drawer. This detail is known as a bead, or a slight groove and rounded edge cut into the wood. The bead acts as a “frame within a frame” to outline your doors and drawers. 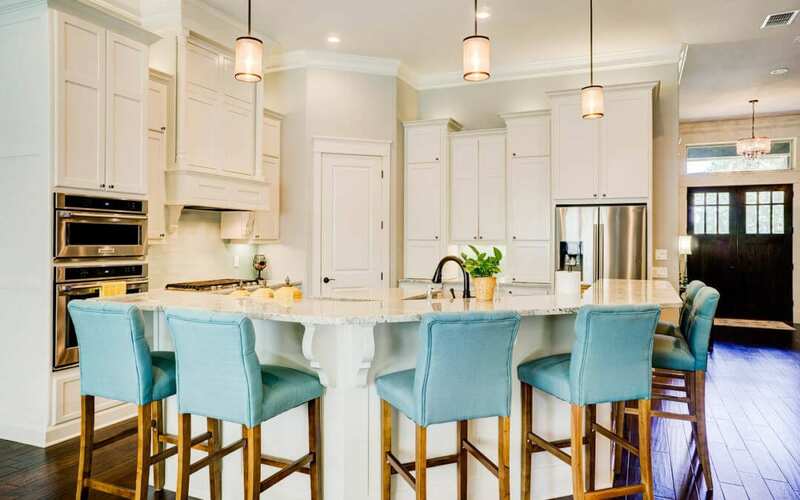 Depending on the cabinet maker you choose, the bead can be made of an additional piece of molding applied to the face frame or by carving the bead out of the face frame with a router. Either way, the extra detail requires finesse and is the mark of truly custom cabinetry. Bead details can also be used to accent your drawers and door fronts, whether you choose plain or beaded inset cabinet. If you choose a door with a panel, a bead can be added around the rails and stiles for additional interest. Beading is also what gives beadboard its distinctive look: Those vertical grooves add texture and a bit of country flair to paneling but can also be used for the central panel of your cabinet drawers. If you choose beaded drawers and doors for your beaded inset cabinets, be sure that the size and shape of the grooves are consistent across the cabinetry for a unified look. Inset kitchen cabinets are a luxurious choice that have never gone out of style. Whether you chose plain or beaded face frames is up to you, but you can always be confident that inset cabinets will stand the test of time.